Law Firm: Smith & Kramer, P.C. Smith & Kramer, P.C. 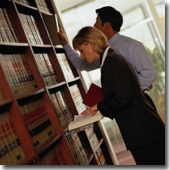 is a law firm which provides experienced and dedicated service to our clients. William Sidney Smith and Jan Mohrfeld Kramer have worked with clients to help achieve their objectives and guide them through the legal process for over 30 years. Both Mr. Smith and Ms. Kramer have business and accounting in their educational and professional backgrounds allowing them to understand the "language" of business and expertly handle issues related to business. Smith & Kramer, P.C. is of counsel with Bradshaw, Fowler, Proctor & Fairgrave, P.C. a firm in downtown Des Moines, Iowa. The Bradshaw Law Firm is a distinguished firm with business, corporate and litigation divisions providing comprehensive services to business clients. Agricultural Law – Modernizing agriculture has led not only to larger operations but has also led to a need for farm operations to become familiar with a wide variety of legal obligations from numerous governmental agencies. White Collar Criminal Defense – Our attorneys are familiar with business prosecution trends and devote a substantial amount of their time in assisting businesses and their owners in trying to protect against such allegations and defending clients where prosecutions arise.